Q: "I'm Michael. I'm 41, 5'7'' @ 175 lbs. I have 2 lumbar herniations [l4 l5]. I can't squat or deadlift. I have had this for a long time, so I know my limits. I was wondering are your books good for me. I am a certified personal trainer and certified nutritionist, so I am not a beginner." My Answer: If you cannot squat or deadlift, then you will still find my books useful. 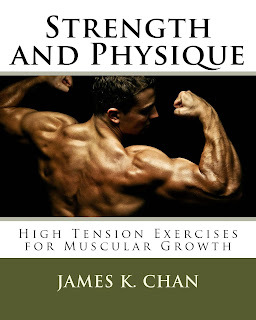 If not for yourself, then for your clients who are looking to gain so muscle. For your condition, you will still find plenty of tips and strategies for your upper body, if gaining size and muscularity is your goal. Q:"Hi James, my name is Victor. This is a brother in pain reaching out. 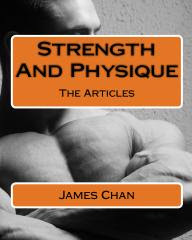 I recently bought your book Strength and Physique: The Articles a couple of weeks ago. I haven't started your program yet, but I do have a couple of questions. 1) If I wanted to keep gaining size what would be the best follow up program? 2) If I was satisfied with the results, how would I go about 'toning' my body or 'cutting' up? I'm not sure of the proper word, but what would be the ideal program for that approach? Thanks again as always James. My Answer: You're going to have a hard time training for 2 separate goals at the same time. A servant cannot serve 2 masters. 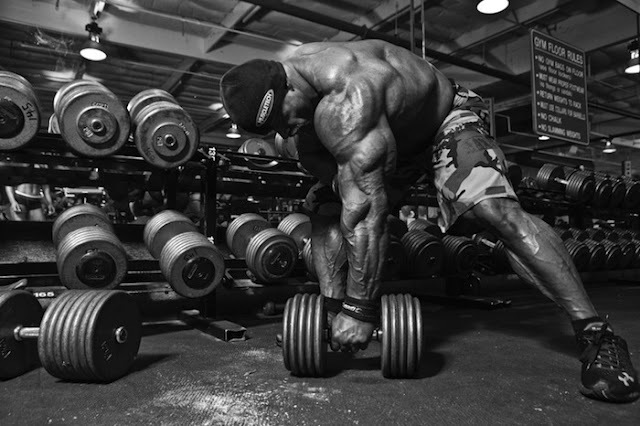 You either focus on size or you focus on tone or you focus on cutting up. For those of you who don't know, muscle tone means your muscles are thick and dense, so much so that your muscles visually appear thick and dense. Cutting up is different. Getting cut means that your body fat is so low that you can see muscle definition. I don't get Facebook or Twitter. I'm really not interested in what you had for breakfast this morning, you narcissist. I can see the potential for these social networking tools to mobilize movements, to keep in touch with friends and family and to gather people together for some fun activities. But jeez, most people just aren't using these tools for anything meaningful. Neverthless, the Web does provide a lot of valuable tools to support your activities in the Real World. Social networking tools are just tools. Phil Hartman said it best, "You put one guy in front of the computer, and he comes up with the space shuttle. You put another guy in front of the computer, and he plays Doom all day." Q: "For your Shotgun Method you have two different layouts. I'm just wondering which one is better to follow? Version One or Version Two? My Answer: What's important are not the program parameters, but the principles of shotgunning (choosing the fewest number of exercises to stimulate the most amount of muscle) and troubleshooting (choosing exercises to address lagging muscle groups). The program parameters (sets, reps and rest periods) are flexible, which is why there were 2 different versions of the Shotgun Method. Version One, which appeared in my 5 Battle-Tested Strategies for Size and Strength, will give you some impressive size and strength. You'll be strong as an ox, and you'll look like one too. Version One will give you the scary badass mofo look, similar to that of a wrestler. You will, however, be more likely to overtrain on this program if you stay with it too long. "Congrats on the reviews of your latest book. Great reviews on Amazon. Question twofold about core strength: My entire L-1 to L-5 is a mess once I have the fusion my lower back range of motion will be terrible. Do you know any good core exercises without much motion in that region of my back? "Also I am starting physical therapy the 20th. What should I quiz them on (for my back situation) before I have the surgery (time undetermined) that you would ask in my situation?" With regards to quizzing your PT, s/he should teach you how to facilitate your recovery after surgery. That's your primary focus, and you should be seeing him or her after surgery anyway. 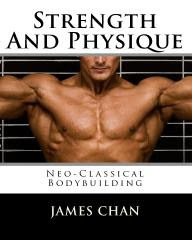 Q: "I just ordered your new Neo-Classical Bodybuilding book, but I have a question which your book may or may not answer: Can I just follow a routine for 4 weeks and then choose another routine for 4 weeks? Or is there some kind of flow and logic to this? "I think 99% of trainees want to know how to keep moving along from one routine to the next: getting stronger and looking better. I noticed many of your readers ask you what they should do after the 10-8-6-15 routine. I and many others just don`t have the know how or experience to know how to keep moving along. "Some insights would be much appreciated! Thank you for your time!" My Answer: Switching from program to program every so often is a good idea, but haphazardly switching programs just for the sake of switching doesn't always equate to progress. You're really just spinning your wheels. It's like going from job to job, but it's always an entry level position. "I read your recent article from Planet Muscle. It has a lot of good information for different body types, but I do not know how to find out which I am. The article refers to getting a muscle biopsy done. Are there any other ways to determine testosterone levels and muscle fiber makeup? The information is hard to implement otherwise. Thanks for your time." My Answer: For those of you who haven't read it, I have an article in the current Planet Muscle about determining your bodybuilding potential through 1) testosterone levels and 2) fiber make-up. Question is: how do you determine your testosterone levels and fiber make-up?